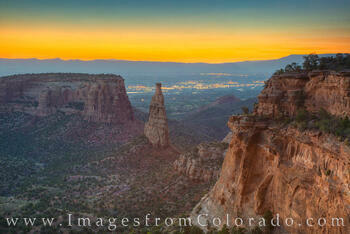 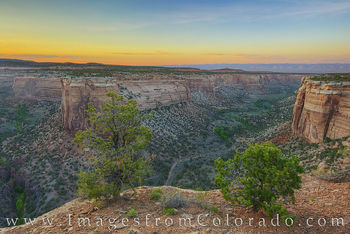 Colorado National Monument sits just west of Grand Junction high atop the Colorado Plateau. 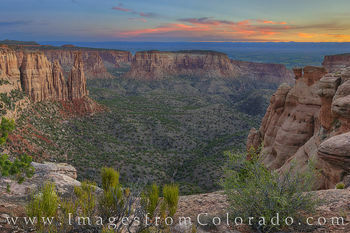 West of this park is McInnis Canyons National Conservation Area and Rattlesnake Arches and Canyon. 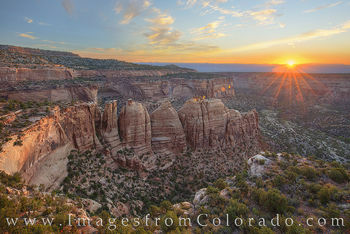 First, in Colorado National Monument, the main feature of this desert landscape, locally referred to as The Monument, is Monument Canyon. 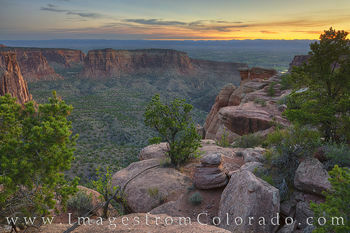 As part of the National Park system, this diverse and arid land covers over 20,000 acres. 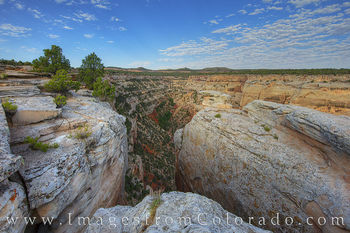 Pinion and juniper pine trees are abundant, as are desert bighorn sheep, coyotes, red-tailed hawks, jays, and even elusive and rarely seen mountain lions. 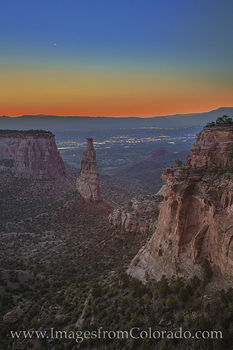 The main attractions of the park include Independence Monument, Coke Ovens, Ute Canyon, the Kissing Couple, and Artist Point, just to name a few. 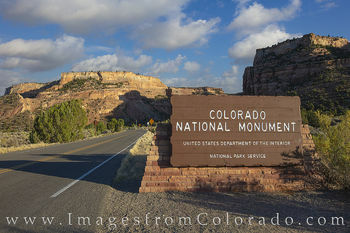 Colorado National Monumen5 came into existence on May 24, 1911, thanks to the tireless offorts of John Otto. As one of the first to explore the area west of Grand Junction, Otto saw the beauty in this desert landscape. 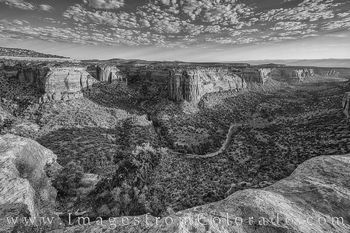 Early in the 20th century, he began building trails that led from the plateau down into the canyon. 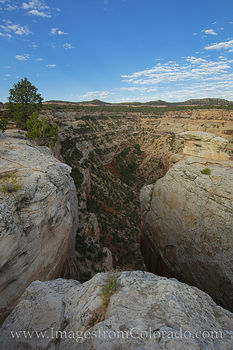 Previously thought of as inaccessible by the locals, the canyon slowly became available to adventurous tourists. 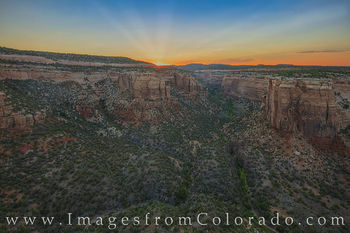 The Ggrand Junction caught word of Otto’s work. 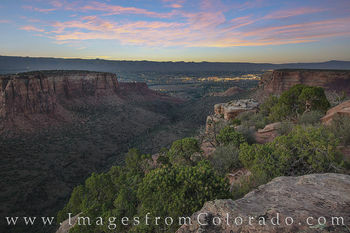 The local newspaper lobbied the US government to make the canyons a national park. 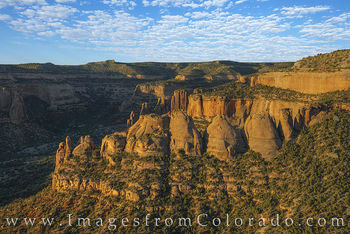 Finally, then president William Howard Taft used his power to protect the area by declaring it a national monument. 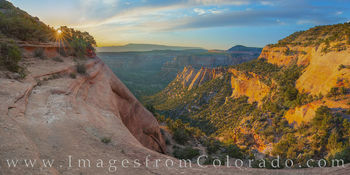 John Otto became the first park manager and worked for the next 16 years for one dollar per day, building and maintains trails while living out of a tent. In 1933, Rim Rock Road’s construction began with men from the CCC (Civilian Conservation Corps), and these workers were eventually replaced by Works Progress Andministration. Despite a work hiatus from 1942-49 because of WW2 and the draft, Rim Rock Road and it’s 22 miles of ups, Dow,s, and curves opened in 1950, replacing Otto’s Serpent’s Trail as the main road. 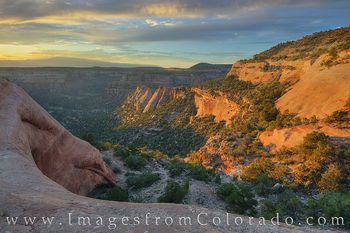 Prior to the white man’s arrival, the Ute Indians spent winters in the canyons of the Monument. 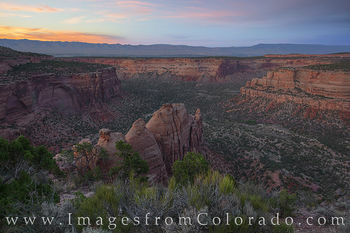 The Ute people were nomadic, though, and did not leave behind many traces of their presence. 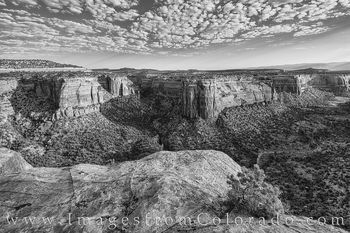 Still, there are places within the canyons that display their rock art, but park rangers keep those locations highly secret for fear of vandalization. 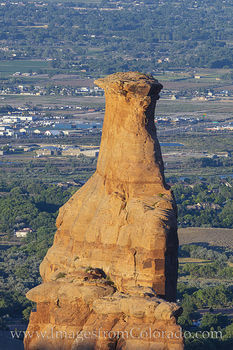 The geologic history and rock formations of the Monument seem like a geologist’s dream. 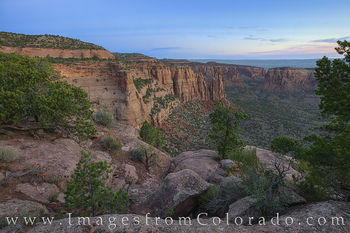 The oldest rocks are thought to be 1.7 billion years old, and the monolithic formations rising from the canyon floors are mainly comprised of schist and gneiss from the Precambrian Era. 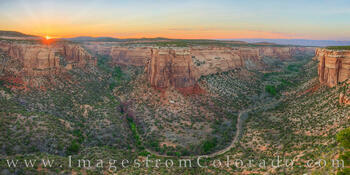 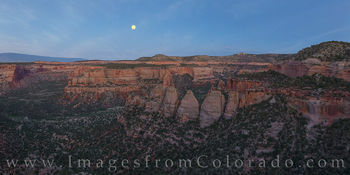 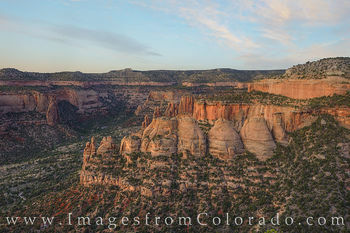 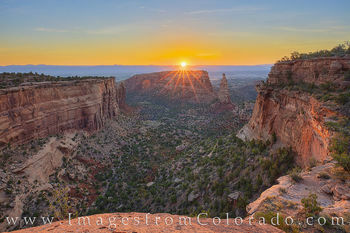 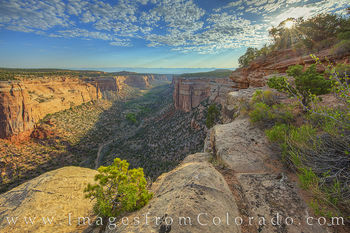 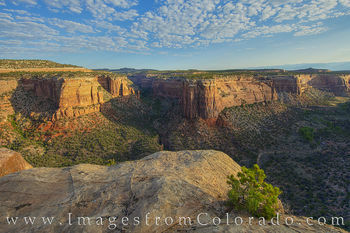 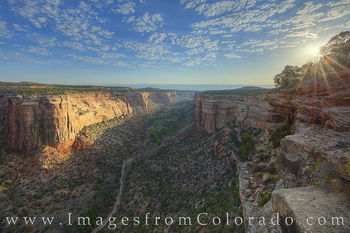 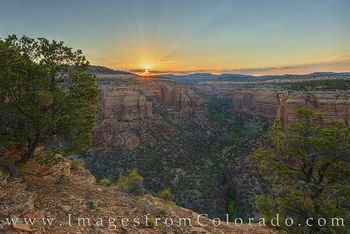 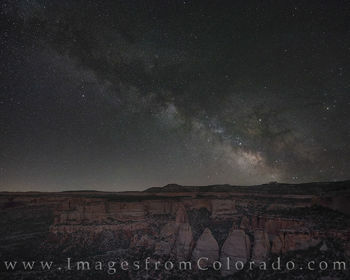 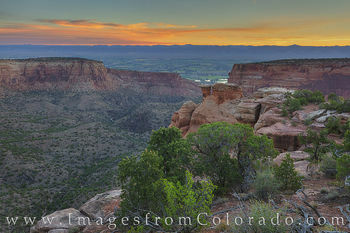 If you have any questions about these photographs from Colorado National Monument, please do not hesitate to contact me.